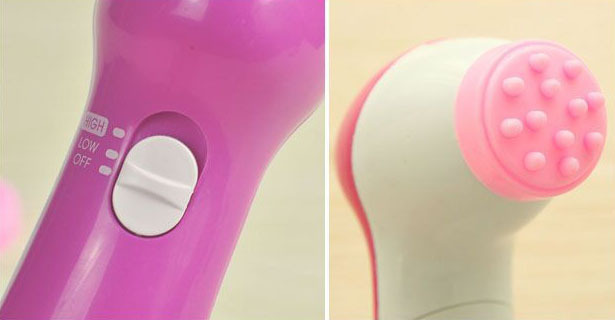 The 6 in 1 Electronic Facial Massage Cleaning Brush has a variety of massage head tools, to better promote the skin blood circulation. It not only can alleviate skin fatigue, but also to make the skin more clear. This product uses the vibrating massage, may replace each massage head, accelerates the metabolism. Clean the skin and absorb the grease. Looking for ideal Portable Facial Cleaning Brush Manufacturer & supplier ? We have a wide selection at great prices to help you get creative. All the Electronic Facial Massage Cleaning are quality guaranteed. We are China Origin Factory of Multifunction Facial Cleaning Brush. If you have any question, please feel free to contact us.